I remember using the "Oscarlocator" all the time in those days. always copied the CW version. > the next pass, or maybe the NEXT DAY!! > of operation, as you remember it took about four hands!! >>> club??? With a check in the qsl column so I assume we exchanged cards..
>>> So you can count San Diego county if that still works??? >>> Counties to me mean hunting boundaries..
>>> Lots of familiar calls....any other OT's still around?? >>>> were amazing. If you were on decades ago it may bring back memories. >>>> sat but lost him. I told you this was interesting and really exciting. 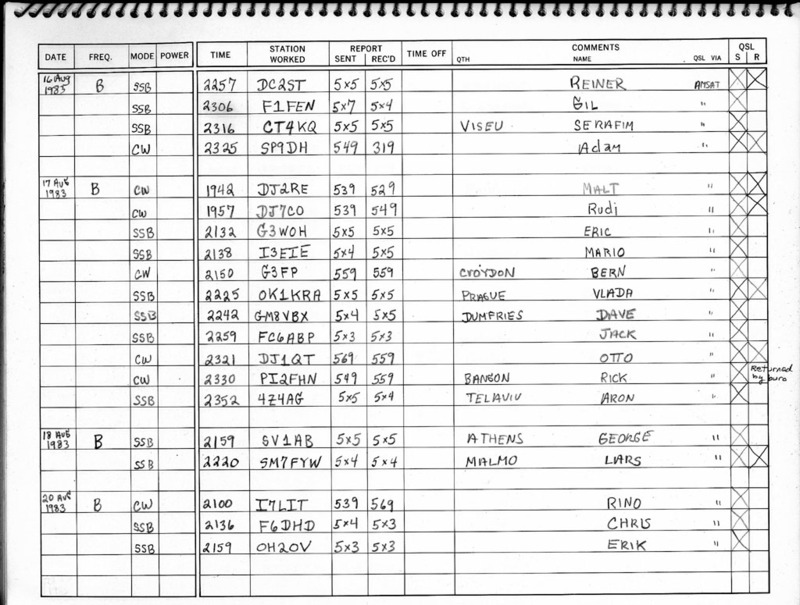 >>>> Thought I had better log the contacts and started looking for a logbook. >>>> pages left in the logbook so I am good to go. Hope to work you. >>>> Sent via AMSAT-BB at amsat.org. Opinions expressed are those of the author. >>>> Not an AMSAT-NA member? Join now to support the amateur satellite program! >>> Sent via AMSAT-BB at amsat.org. Opinions expressed are those of the author. >>> Not an AMSAT-NA member? Join now to support the amateur satellite program!